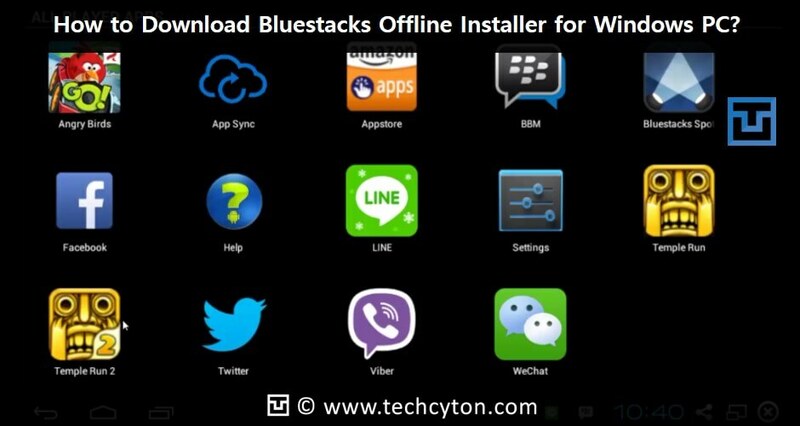 How to Download Bluestacks Offline Installer for Windows PC? – The world is becoming small and coming closer with the help of the developments and leaps happening on the planet of technology. Earlier it was a scenario where there was no link between the applications running on Android systems, Windows systems and the Macintosh computers. It was usually a problem and a hindrance to many of the functions taking place. But as we see newness in the technical world every day, it brings something that proves to be a blessing in disguise for us. Today, it is an app player that will work by enabling the applications that run on the Android systems to work on the Windows systems and Macintosh computers as well. 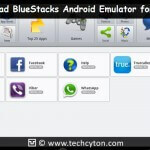 The app player hails from an American technical company named Bluestacks that takes the pride in producing the app player and similar products that function well in the cross cloud environment. The parent company was founded by Jay Vaishnav, Suman Saraf and Rosen Sharma back in the year 2009. The investors involved in the making of the app player include Adreesen- Horowitz, Samsung, Intel, Qualcomm and some of the other big names in the business. The app player can be easily downloaded into Windows devices and Mac software systems and it provides a virtual experience of using the Android systems to the above users. The software happens to be free to download and make use of and then getting it disabled later by making users install other related apps at the cost of $2 a month. According to the company that runs the app player, it has been confirmed that the player is capable of running more that 95% of the total of 1.5 million apps that are available in the Google Play Store. Getting the Bluestacks offline installer is simple and involves barely a couple of steps. Step 1: At first, one could simply go to the following link. This would take some time to download depending on the speed of the internet connection. Step 2: After this, the installer file begins to download and this is the time when the user needs to check the internet connection and this would determine the time that the complete process would take. And once it’s done downloading, the user gets started with it. The use of this method would make sure about the fact that the installer file used here is older and can be used by other users even if they don’t have an internet connection. If the issue of gaming and getting your battery drained is troubling you, then you need not worry anymore because with this all new App player, you can enjoy the experience of gaming without the worry of the charge drainage. One can do the task of playing and messaging simultaneously without worrying about the charge. Playing on the bluestacks app saves a lot of charge in the battery. The Android system has the advantages of getting the access to be played on the PC and Mac. The features like the speed of the games and the sounds are incomparable. All these games can be played on the big screens of computer systems and the experience could be amazing. 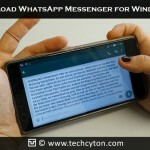 It would probably be possible for the first time that one can play the Android games like Candy Crush using a big monitor and also use Whatsapp messenger simultaneously. He/she can share media files, from the personal computer to the Mac and to the mobile devices too but all these can be used with the guards of the app player. 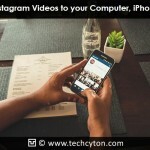 As an illustration, one can post images to the Instagram from the Computer system. Playing games and using apps instantly is also one of the adorned advantages of the app player because it allows downloading the applications to the computer systems with just one click and then it merges with Windows and provides the experience of Android instantly and endlessly. These Android apps can be kept a click away on the desktop as well. The experience of playing games and using applications at a single place with a single click on an Android device or any other device is backed by Bluestacks and happens to be one of the best of its kind. The App player was launched in its alpha 1 version for the Mac Operating Systems. 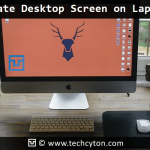 This could be used only with the Mac systems. The next beta version of the player was launched on the 27th of December 2012. Unfortunately, the Mac version of the player is not available when searched on the homepage of the parent site. This happened when the support for the above technology was abandoned by the year 2014. Later in the year 2015, the company of BlueStacks Inclusive proclaimed above a very new and updated version of the App that could be compatible with the Mac systems again, but this version was still in the process of being developed. Finally, this above version was officially launched in the month of July 2015. After this, the official version, compatible with the Windows systems was launched in the month of December 2015 and the speciality of this version is its ability to run more than one Apps on the Android devices at the same time. With the coming up of such new and updated technologies, it is evident that we are actually advancing to a completely new revolution where we can not only witness cross clouding of different platforms for also a form of compatibility too. Systems like Bluestacks have helped a great way to make the process of working and applications too very easy by bringing in the compatibility factors. The factor by which the applications of Android systems work on the Windows and Mac devices makes it a leap in making life easier by which there can be no hindrances in using the Apps on any device. Having a device of any system can actually perform the functions and help, get the job done effectively. 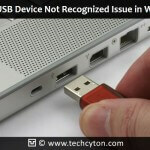 How To Fix USB Device Not Recognized Issue in Windows PC?